All moms need a few special items in their collection to get them through the baby stages. If you have a baby gift registry in motion, I strongly recommend adding some, if not all, of these handy items to your list. If you don’t already have a baby gift registry, stay tuned, at the end of the post we’ll share some tips to get you started! I’m anticipating the arrival of my third child in just a few short weeks, and boy it cannot get here fast enough! 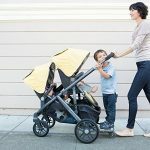 As a busy mom of (almost) three little ones under the age of five, I always look for innovative and versatile baby gear that will make my hectic life a bit easier. If you have children, I’m sure you can relate! After much research, I’ve compiled this list of the best new products for 2016. While not necessarily new inventions, all of these awesome items offer a fresh take on old favorites. And though I already have lots of stuff (because, who doesn’t), I plan to update my collection with some of these great new products. I’ve updated my baby registry, and now I’m just crossing my fingers. Whether you’re expecting your first child, or you’re restocking for your second or third, be sure to check these out…and add them to your baby gift registry! This is the ultimate pack ‘n play which includes not only a traditional play yard, but also a bassinet, portable lounger, cushioned hideaway diaper changer, and compartmentalized organizer. The convenient, space-saving Graco Pack ‘n Play Everest is an all-in-one baby care center. If you like to stay organized, the Paca Pod Diaper Bags are just for you! Available in several styles, each bag easily attaches to a stroller and features compartments for small items such as your keys and phone. In addition, there are two removable “pods”- an insulated feeder pod and a changer pod which includes a mat to ensure that your diaper bag stays clean and orderly. Making your own baby food is a breeze with the Baby Brezza Glass One Step Baby Food Maker which allows you to steam then automatically blend your choice of fresh fruits and veggies, creating endless combinations of delicious purees for your budding foodie. The Graco Blossom DLX 4-in-1 High Chair Seating System is a unique, adaptable high chair that grows with your child and even allows you to use it for two children. It starts as a traditional high chair, transitions to an infant or toddler booster, and eventually converts a youth chair, accommodating children up to 60 lbs. The booster and youth chair can be used at the same time! This little contraption stretches and grips the opening of virtually any cup to instantly turn it into a spill-free cup. Silikids Siliskin Reusable Silicone Straw Tops are perfect for at home or on-the-go use! The Summer Infant Babble Band Wearable Baby Monitor is the first and only wearable baby monitor on the market. It fits like a watch and has 3 settings- audio, vibrate, and sound lights only- to help you continuously monitor your baby as you walk around your home. Most activity gyms are designed for use while a baby is lying on their back. However, the adjustable Skip Hop Explore & More Amazing Arch Activity Gym includes 20 developmental activities that can be explored from back, tummy or sitting up. One of the coolest features is the parent pocket which holds most smartphones and is perfect for a video chat session with grandma and grandpa. There are so many nursing pillows out there that you may be wondering why this one is so special. The unique design of the Ergo Baby Natural Curve Nursing Pillow angles your baby tummy-to-tummy and also supports the baby’s head above their stomach to aid in digestion. Additionally, the thick, firm foam keeps your baby at just the right height which eliminates stress on your back. Love to travel, but hate all the stuff your little one needs for a night or two away? The BabyBjorn Travel Crib Light folds up to a compact 19” x 23.5” x 5.5” and is the perfect way to lighten your load, while still bringing your own crib with you. Say good-bye to the big, heavy, bulky pack ‘n play that takes up too much space in your trunk. The Wovenaire Newton Crib Mattress is a safer alternative to a traditional crib mattress. The mattress is fully breathable which reduces the risk of suffocation. Both the inner core and outer protective covering are completely washable, and on top of all that, it contains no foam, coils, glue, toxins, or latex. Rest easy, knowing your greatest treasure is sleeping safe and sound! In case you haven’t noticed, I like versatile baby gear. Enter the Graco DuetSoothe. It looks like a traditional baby swing, but includes a removable rocker which gives you the flexibility to easily move your baby from room to room throughout the day. It holds babies up to 30 pounds and has numerous seating positions, swing speeds, swing directions, melodies and sounds to ensure your baby’s happiness. I loved using my Original Ergo with my daughter- it was comfortable and kept her close. However, as she got older, I wished that she could face outward. The Ergobaby Four Position 360 Cool Air Baby Carrier allows you to carry your little one (up to 33 pounds!) four different ways and is made of breathable mesh fabric which keeps them cooler for a longer period of time. Those are my top recommendations for the must have baby products for 2016. For more exciting new baby gear, check out our Pinterest Board: Best New Baby Products! If you don’t already have a baby registry started, I recommend creating one with BuyBuy BABY. Why? At BuyBuy BABY you can find a huge selection of the most popular merchandise on the market as well as many products, adorable patterns and features made exclusively for BuyBuy BABY at low prices. In addition, they offer fully personalized baby registries, exclusive goodies and savings (because, who doesn’t love extra savings? ), and it’s easy to set up and share. And drop us a line and let us know if you come across a “must have item” that has saved your sanity along the way, and please pass this information on to any fellow moms that could benefit! What’s Your Registry Style? Take Macy’s Home Decorating Quiz! 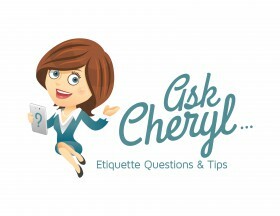 AskCheryl: If Paying for the Wedding, Should Parents-of-the-Bride Have a Role in the Planning? I love my Infantino Squeeze Station & highly suggest it for new mamas! My girls will eat any vegetable if it is out of a squeeze! Not only does the Lansinoh Affinity Double Electric breast pump do the most important thing — efficiently express breast milk right into baby’s bottles — but it was designed with comfort in mind. Some genuinely terrific work, great article!